More weirdness-gutting has taken place. It’s sweaty work even in the cool of the morning. 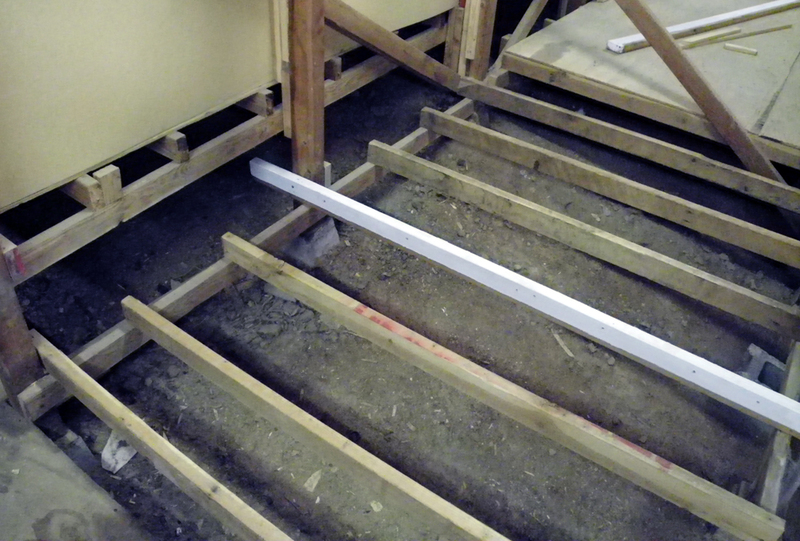 Since the raised pier-and-beam foundation 4×4′ posts are framed and tied-in, we have removed a few of the angle-braces as unnecessary. Now we’re really in for it. Made a lot of progress today removing over-hanging weirdness and some old junky, thickly-layered clutter. It took everything the DeWalt had, from square-drive bits to philips’ to flat-head – and sometimes all three in one unit of sketchyness. And nails. My dear wife has the gentle soul of a gardener, but she can swing the big Eastwing and run the crow-bar – it’s just much more tiresome work. 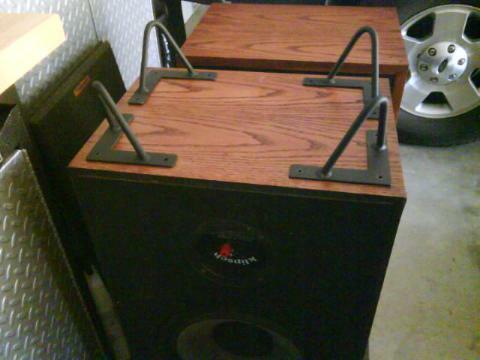 I can see a dump-run in the near future, but just a bit more clean-out and we’ll be ready for Monday. In the hot, dog-days of August we get around to more than just yard-work – even though that continues apace. The understory floors were a bit springy so I peeled them back to see what was up. Needs more beef. Meanwhile speaking of Outright Weirdness, WordPress has just changed its look-and-feel for making posts, and it’s uncomfortable. Frankly it’s weird and unexpected – you’d think they’d let the users know in advance when they’re going to do a wholesale “upgrade” of questionable utility. I don’t see how it serves to improve anything. Also the button to “Publish” seems to fail and they moved other things into stupid and unexpected locations. As a UI designer I smell a turd. 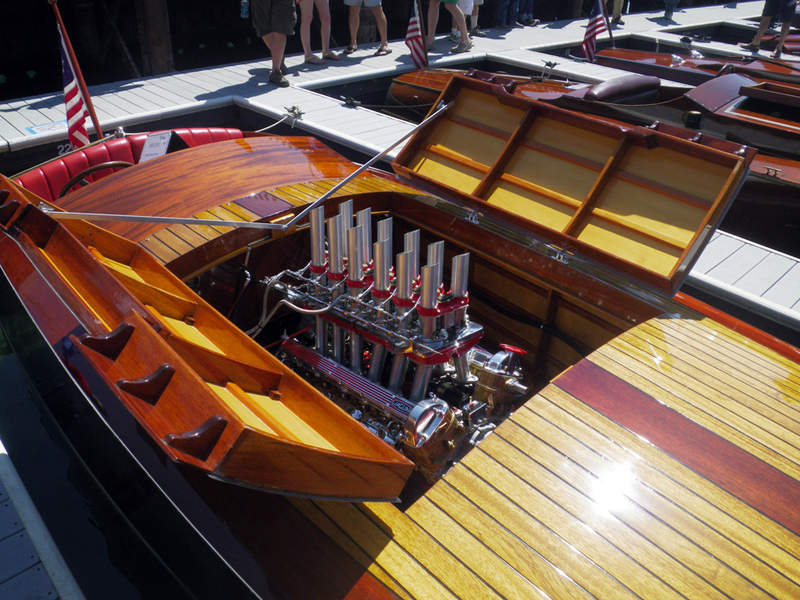 Among the many stunningly delicious boats at the Tahoe show was this monster-motor in Miss Detroit III, first piloted (to victory) by Gar Wood himself and then removed put into storage – and the hull lost to damage. 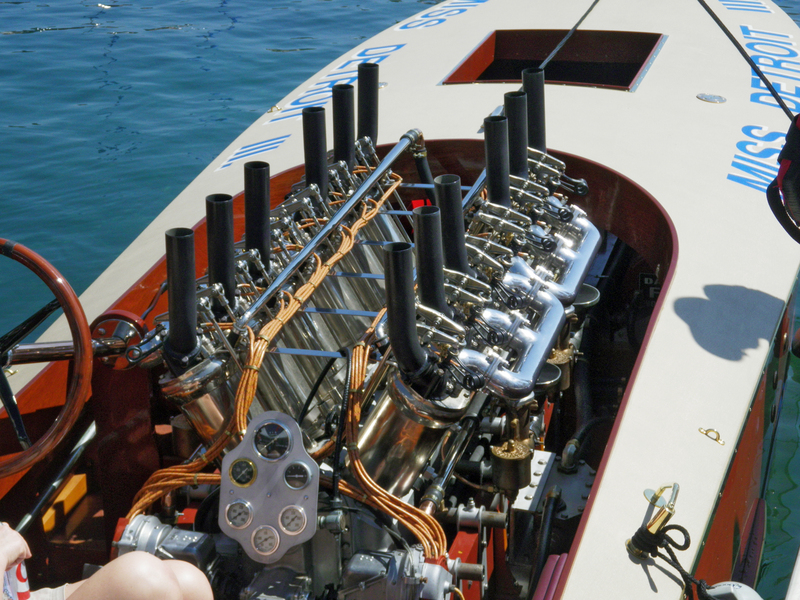 Now resurrected in painstaking detail and at excruciating cost within a new hull – the original 1918 Gold Cup winner… They cranked it up just to let the rubes watch the valve tappets pop and hear the stomach-churning roar of the coffee-can sized cylinders. It was religious.